Did you hear spring cleaning and think I was going to make you clean out your garden shed, mop under the bed, or start a meditation practice? Don’t worry! I’m not, unless you want to of course and any, or all, of those 3 things would be awesome! Since spring is in full swing, and it is a time of renewal and implementing new ideas and practices, I’ve complied a list of really great recent blog posts from bloggers I admire that I thought you could find useful! They may motivate new classroom, home, or homeschool classroom routines, practices, and habits, or they may simply provide a different perspective, back up for a perspective you already embrace, or inspire you to bring something from a back burner to the front. So whether you are clearing out, cleaning up, seeding, or flowering, in the spirit of sprouting healthy happy creative nature connected humans this spring here’s some fun ways to get started on your personal version of spring cleaning! If you can teach it indoors, can you teach it outdoors? Probably so! Simply taking regular lessons from every subject outside breathes fresh air into them, literally and figuratively! 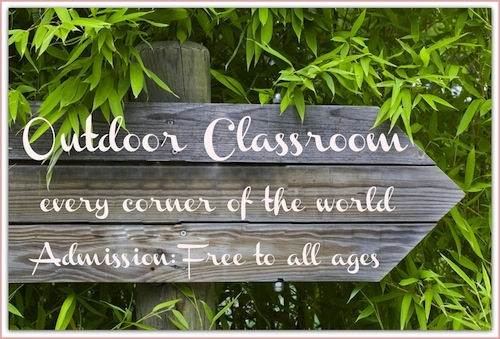 Check out this post by the Magical Movement Company for ideas on taking lessons outdoors! 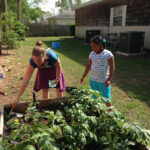 In warm climates we are harvesting our winter crops to make room for spring plantings and that means the children are eager to help prepare the fresh fruits and veggies they pick. This often requires chopping. How do you approach chopping work with children? In the Montessori world they use choppers or once a bit older they are taught to use real knives. 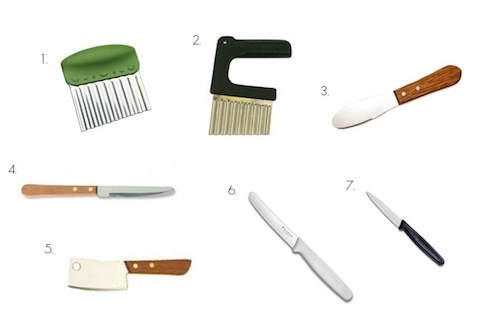 Learn how to safely teach children to chop in this post by How We Montessori! Activities, events, social or professional obligations, homework, clutter, clothes, stuff…. Does it feel like your life just has too much? Imagine how the children feel. In this fantastic post, Simplifying Childhood May Protect Against Mental Health Issues, by Raised Good: Parenting by Nature, get the philosophy for realistically simplifying and in turn creating space for peace, mental health, and happiness! It’s so important. As a teacher, aunt, and friend to many children I have seen children’s behaviors aggravated by too much stuff and too few boundaries. 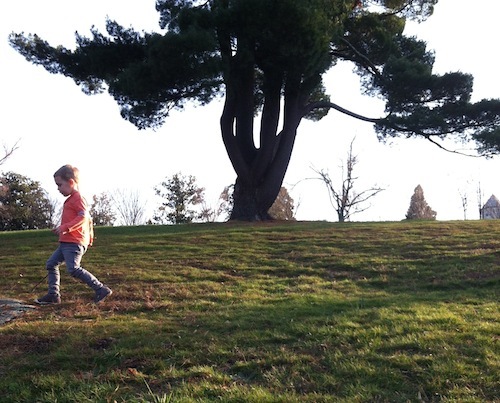 And in this post, Want Happier Calmer Kids? Simplify Their Lives, by Green Child get some specific tips for cleaning out and simplifying children’s lives. Both provide awesome information, resources, science, and inspiration for calming life down and getting back to the fundamental rights of childhood. Want some ideas for connecting with nature as a family or with your students? 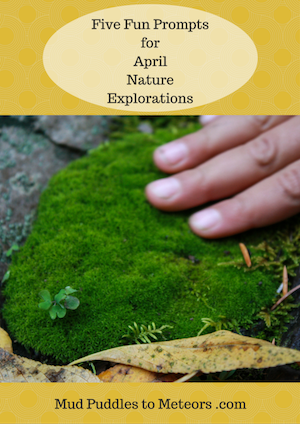 Then check out the Mud Puddles to Meteors April nature exploration prompts. They will give you a specific reason to get outside every week this month! And their book Whatever the Weather is out this month too! Look forward to more on that soon! And you can document your nature outings in these super fun to make nature journals! Nature journals are a great way to tie in nature time to academics in the classroom, or to family fun at home! 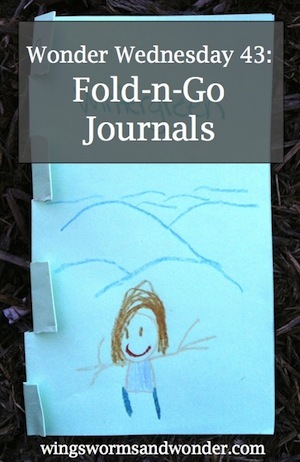 Get the Wonder Wednesday Fold-n-Go journal activity plan here! 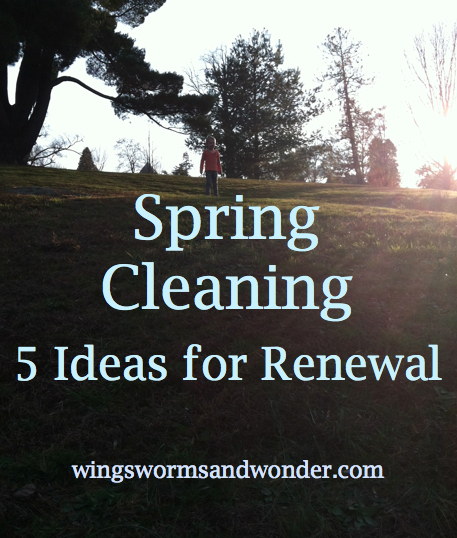 What are your spring cleaning plans? Anything you specifically want to implement or get rid of? Let us know in the comments and we will support your effort! 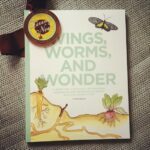 Share pics of your spring nature time on Instagram #wingswormsandwonder I love to see! Great news! I found a hidden case of my books at my parents’ house! So these are literally the last 30 copies I didn’t know I still had! 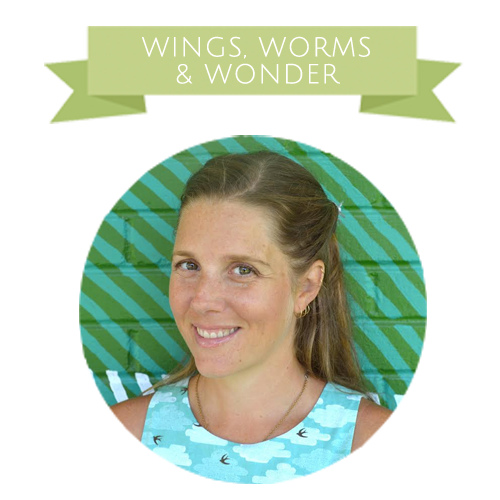 Get your copy of the award winning book Wings, Worms, and Wonder: A Guide for Creatively Integrating Gardening and Outdoor Learning Into Children’s Lives while they last! Getting inspired to plant that spring garden, but want some help? Well I’m here for you! Check out my Let’s Build a Garden eCourse! 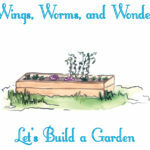 Learn step by step how to build your own raised garden bed with me in video form! I cover everything from choosing the best site to shopping for supplies, to building, to filling and planting. Want more one on one advice? Try a 1 hour phone consultation! Whether your garden needs a breath of new life, to be integrated into a curriculum, or to be built in the first place, I’ll address all your concerns and questions and provide you will a specific action plan for your garden. Let’s set up a time to make your garden grow together! And last but not least, info on my new nature journaling course, Draw deeper Into Nature, is headed your way soon! Learn all about it and the fun things we’l be doing here!